“This is a music that goes back to the Vedic times in India,” says Joshua Dylan Mellars, whose documentary Play Like a Lion: The Legacy of Maestro Ali Akbar Khan will screen at this year’s Mill Valley Film Festival. 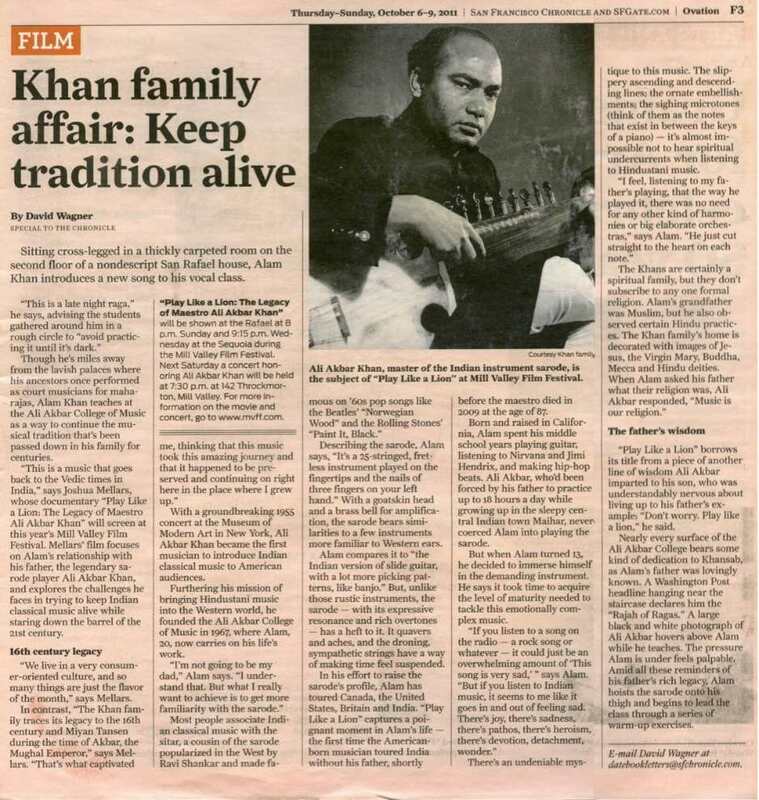 Mellars’ film focuses on Alam’s relationship with his father, the legendary sarode player Ali Akbar Khan, and explores the challenges he faces in trying to keep Indian classical music alive while staring down the barrel of the 21st century. “We live in a very consumer-oriented culture, and so many things are just the flavor of the month,” says Mellars. With a groundbreaking 1955 concert at the Museum of Modern Art in New York, Ali Akbar Khan became the first musician to introduce Indian classical music to American audiences. Furthering his mission of bringing Hindustani music into the Western world, he founded the Ali Akbar College of Music in 1967, where Alam, 29, now carries on his life’s work.